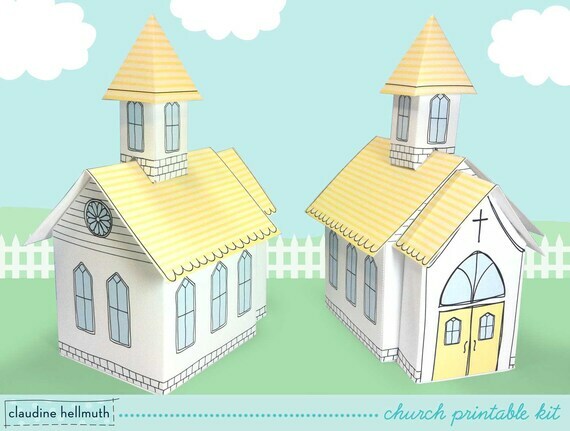 Easy to make whimsical paper Church Printable Kit. This little church can be used as a party favor box or party table centerpiece decorations for weddings, Baptisms, First Communion and Easter etc. Combine with my printable Happy House kit to finish off your whimsical village! I've illustrated this church completely in 3D so you use it as a centerpiece all your guests will have a cute view! And the best part - you can print and make as many as you like for your own personal use!